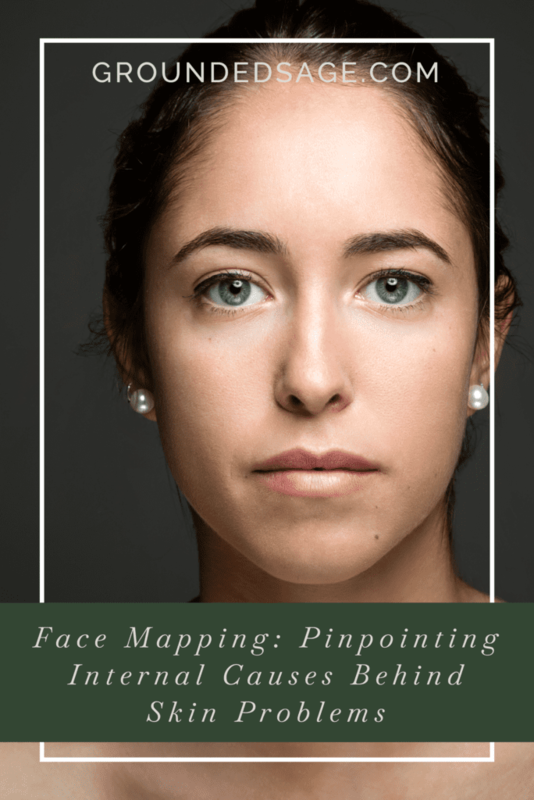 The below chart helps you “read” your face! 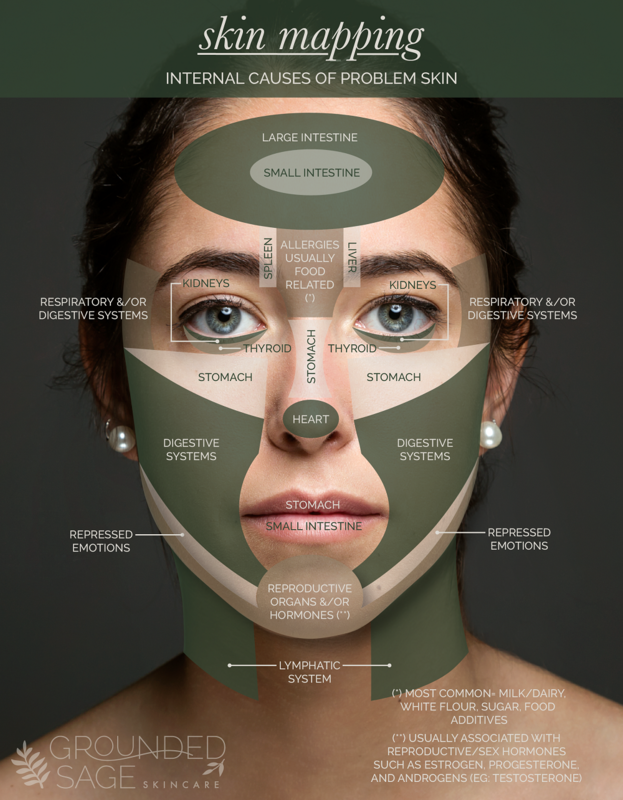 Basically, the chart tells you what internal systems may be playing a role in any skin issues that are visible on your face. 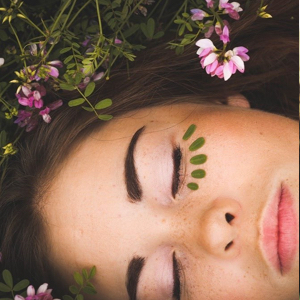 For example, if you’ve been struggling with chronic acne on your chin, by looking at the chart, you can see that hormones may be the internal cause. Each area has common issues like being unbalanced, not working efficiently, etc. Often, more than one internal cause is present. In our example of chronic chin acne, unbalanced hormones are a common cause. Ok, great – so you know that something with your hormones could be causing chronic chin acne… now what? 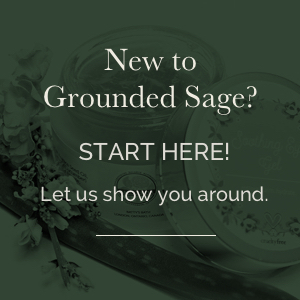 Now you’ll want to find kind and clean ways to help support your body in this area. Keeping reading for where to go from there). Since going over all the ways that someone can support different internal systems is beyond the scope of this blog post, I will mention that a good place to start (with all areas listed in the chart) is with your diet (including consuming herbal/botanical teas). Focus on a diet that contains lots of whole foods, minimum food additives and lots of greens (I get my greens by mixing up a daily smoothie. Here’s a recipe to get you started or just add fruits you love plus lots of greens and water. In place of water, I like to use pineapple juice. Focusing your efforts evenly between the 3 key areas mentioned above will give you a leg-up on problem skin! 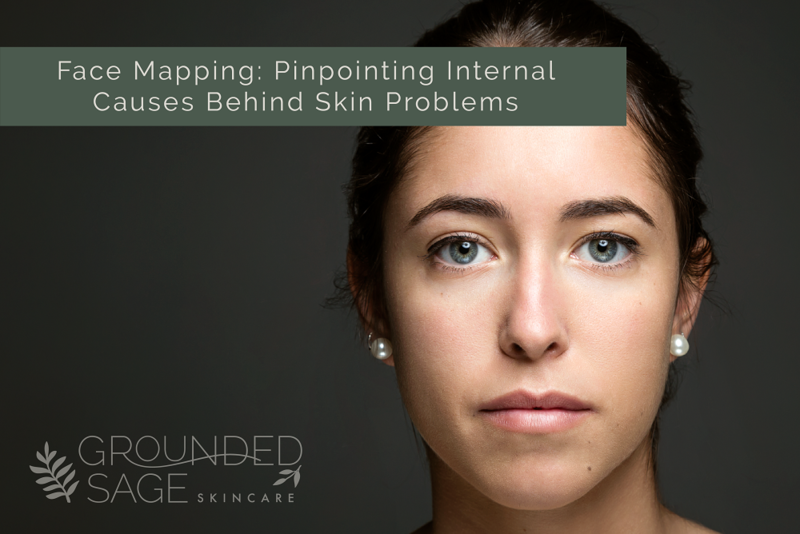 Check out all our blog posts focused on solving internal causes of problem skin by clicking here. 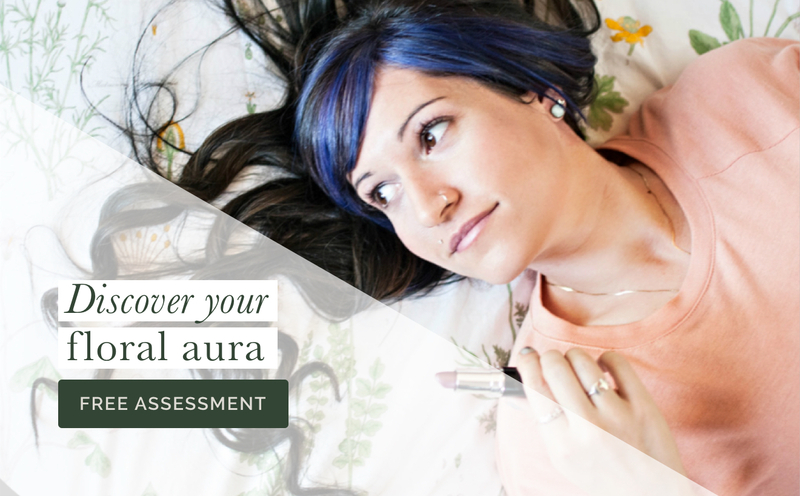 If you’re experiencing problems in the areas related to digestion and/or hormones/reproductive organs, check out the internal suggestions in this Q&A post.